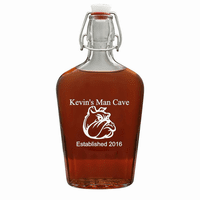 Give him something he'd really like for his birthday, holiday or Father's Day! It's an 8 oz. 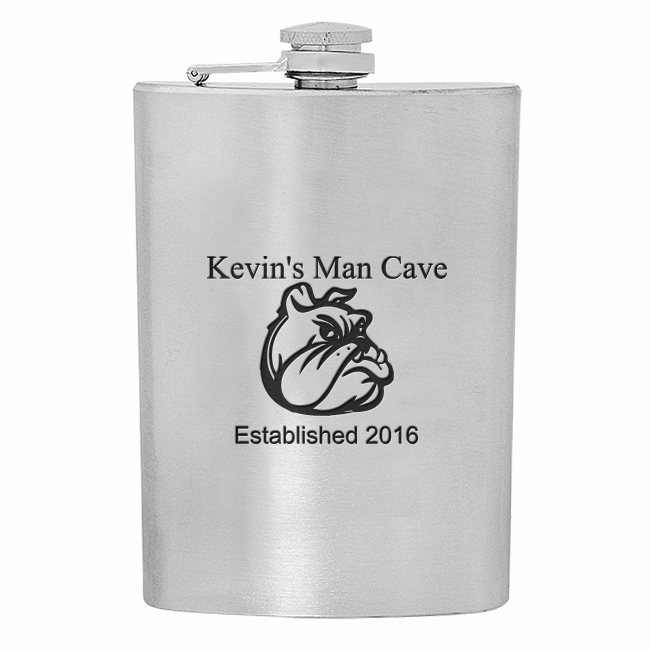 stainless steel flask with a leakproof captive screw-on lid. 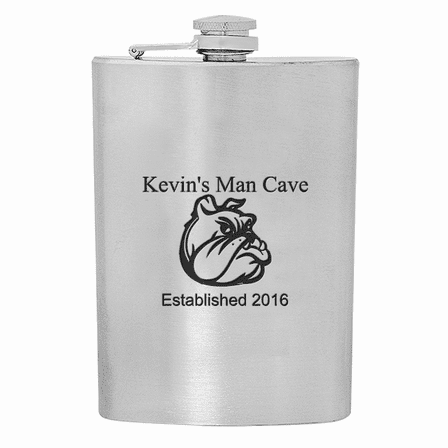 On the front is a laser-engraved bulldog with room to identify that it's your guy's Mancave above and Date Established below! There's no extra charge for personalization, and it won't delay the shipment of your order. 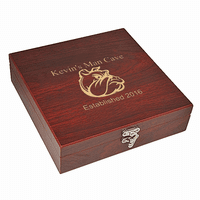 This flask comes in a handsome gift box, and ships out within one business day!